On July 21, the New York Daily News reported that the grand jury investigating Bonds had been extended for six months. According to the Daily News, the "U.S. Attorney's office in San Francisco is confident it will have enough evidence to secure an indictment once [the grand jury] resumes in September." The Daily News quoted an anonymous source as saying "[Prosecutors] seem to feel they have a strong case...If the case is 90% now, there's no reason not to go for 100%. They aren't just waiting around for Greg Anderson." Mug shot of Bonds taken on November 2007. 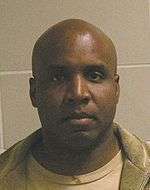 Bonds' trial began on Monday March 21, 2011. The case was prosecuted by Assistant United States Attorneys Matthew Parrella and Jeffrey Nedrow. The defense team consisted of 8 lawyers. Allen Ruby, a partner at Skadden Arps Slate Meagher & Flom LLP, served as the lead attorney and was assisted by Sean Contain and Patrick Hammon. Cris Arguedas, of Arguedas Cassman & Headley, served as second chair and was assisted by Ted Cassman and Michael Anderson. Appellate lawyers Dennis Riordan and Don Horgan drafted pre-trial motions and attended the trial in order to brief appellate issues in real time. ↑ "Feds Seize Bonds Medical Records". KTVU. 2006-07-22. Archived from the original on 13 October 2007. Retrieved 2007-10-17. 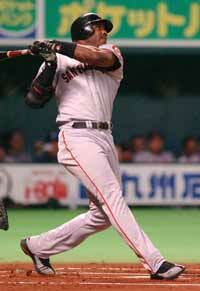 ↑ "Former Giants trainer testified about Bonds' arm injury". CBS Interactive Inc. 2007-04-10. Archived from the original on 20 November 2007. Retrieved 2007-10-17. ↑ "Mr Dennis Patrick Riordan, Attorney". Lawyer.com. Retrieved November 19, 2015.